Gambling in the Middle East is extremely popular and things are no different in Saudi Arabia. This is in spite of the fact they have a very strict anti-gambling government. 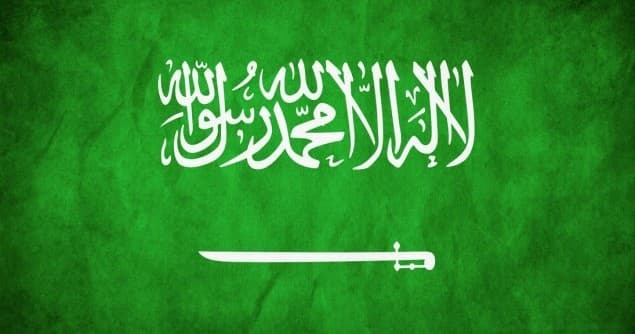 Since it is a strict Islamic country, Saudi Arbaia has strict anti-gambling laws. There are no state-licensed casinos, racetracks, sportsbooks, or poker rooms. In fact, all forms of gambling are illegal in the Saudi Kingdom.The Koran makes a specific mention of the evils of gambling, but Mohammed made an exception for betting on horse racing. There are two horse-racing tracks in Saudi Arabia. One is in the capital Riyadh  while the other is located on the west side of the country in Taif, Mecca. There is no legal horse racing betting allowed in Saudi Arabia, though some informal bets do seem to take place at the tracks. The races held in Saudi Arabia cannot be bet on overseas unless express permission is sought from the Saudi government to offer odds. Football is also hugely popular in the Kingdom and odds on the local Saudi leagues are offered by many online bookies. One of the biggest deterrents to gamblers in Saudi Arabia is the harshness of the punishments, even for the first offence. These can include a six-month imprisonment, or longer, and potentially caning as an additional punishment. Further offenses may be met with harsher penalties. Those who run their own gambling operations inside the country can be subject to even more severe punishments, as you will see below. Do People Still Gamble in Saudi Arabia? Like many vices that face hardline prohibition in the country, such as alcohol and drug use, there is an underground market that exists for gambling. Local gambling dens do exist but are extremely risky for most residents of the country. Wealthy Saudis or those related to the royal family may be the only ones immunized from prosecution or given lenient sentences. In 2011, several Indian and Pakistani nationals set up a gambling den in the city of Jeddah. The Saudi Arabian police quickly discovered their operation, and seven of the men were arrested and charged with gambling activities. The gentlemen faced penalties ranging from life imprisonment to several forms of mutilation at the hands of the government, including stoning, beheading, and amputation of body parts. However, despite these harsh penalties for what in most other countries are legal activities, citizens still continue to gamble on the black market locally and online. Like other countries with authoritative regimes, such as China, the government does their best to block sites that go against fundamentalist Islamic teachings. The firewall is effective at blocking many gambling sites, along with those that have other content against Islam, but it doesn’t stop everything from reaching citizens. Furthermore, those who want to bypass the firewall can use a VPN (the best option is this one) or proxy to easily get around the state blocking of certain sites. The real question is, are there sites that service players from Saudi Arabia? Yes, there are hundreds of online gambling sites that offer players online casino, poker, or sports-betting options. Some are even translated into Arabic, the native language of Saudi Arabia. They accept citizens of the country to gamble at their sites, but depositing and withdrawing money can be tough. Few sites accept the domestic currency, the Saudi Riyal, but depositing via USDs, GBPs, or Euros is possible via credit card. Credit or debit cards may be blocked from depositing into gambling sites, so players can buy prepaid cards as an alternative. Person-to-person transfer services, like Western Union or MoneyGram, are other popular options. For withdrawals, person-to-person transfers may be the best bet, despite their potential costly fees. Some sites may offer checks or even wires to Saudi bank accounts. However, this can be riskier because, if a bank or state official can confirm the transaction is gambling related, individuals could face the full force of the justice system. There are a handful of ewallets that can also be used for depositing and withdrawing to online betting sites in Saudi Arabia. The most popular of these is Skrill, formerly known as Moneybookers. A Skrill account can be funded using a debit or credit card, or by bank transfer. The funds can then be used to deposit to online gaming sites. For anyone who has used Paypal or a similar online payment system, Skrill will be very easy to use. Unfortunately, Neteller, another widely used ewallet cannot be used in Saudi Arabia. CashU, Paypal, 2Checkout and a number of other online payment processors accept Saudi customers, but restrict transactions made to betting sites, so they are probably not a good option. My advice is to stick to Skrill. 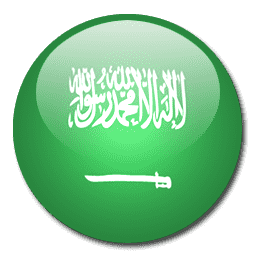 How Viable is Online Gambling in Saudi Arabia? It’s certainly more recommended than gambling with local agents or in an underground betting parlor. In some cases, police will do sting operations similar to drug and alcohol busts. Luckily, this is not possible for those who bet online. It is also important to realize that most of the population agrees with the state prohibition on gambling. Saudi Arabia is full of devoted Muslims, and while some may break the rules, the vast majority of the country do not. Most of the populace frowns on activities like gambling, alcohol, and drug use. There is a very good chance, if you’re caught gambling locally by a Saudi Arabian citizen, that he or she will report you to police. Even if you’re gambling online, it is best to keep it to yourself, and as crazy as it sounds, close your windows and shield your computer screen from public view. Don’t even consider gambling online in a public place, like a coffee shop, or an Internet café. All and all, online gambling in Saudi Arabia is possible but is certainly not without major risk. While police don’t seem to be targeting online gamblers and instead are going after local, underground betting operations, the draconian penalties for all forms of gambling are downright scary. The laws on gambling are never going to change in Saudi Arabia. In such a huge Muslin country, where the vast majority of people are against gambling, there’s no reason to allow it to surface. It will get easier over time to play online and move money around, but the penalties imposed by Saudi law are as extreme as they come. Online does seem like a million times safer than gambling live, so people will continue to do so in the relative safety of their own home.